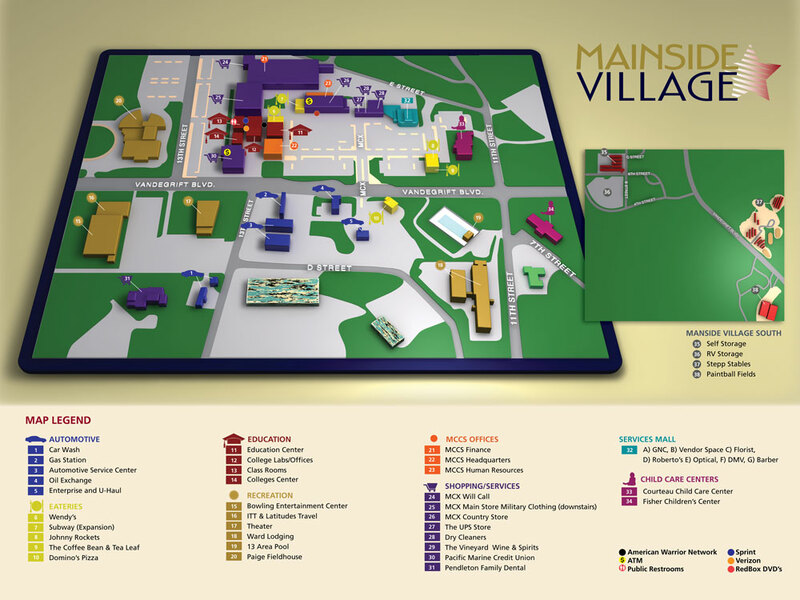 Map and directory for the proposed “Mainside Village” complex at Marine Corps Base, Camp Pendleton, CA. I started by illustrating the 2D map in Adobe Illustrator using available GIS maps as well as Google Earth to be as precise as possible. I then imported the 2D vector file into Cinema 4D to create the 3D version you see here. The icons, text and logo were added to complete the map/directory. The map was printed large-format and mounted for use as signage to inform MCCS customers of the changes coming to the existing shopping complex. 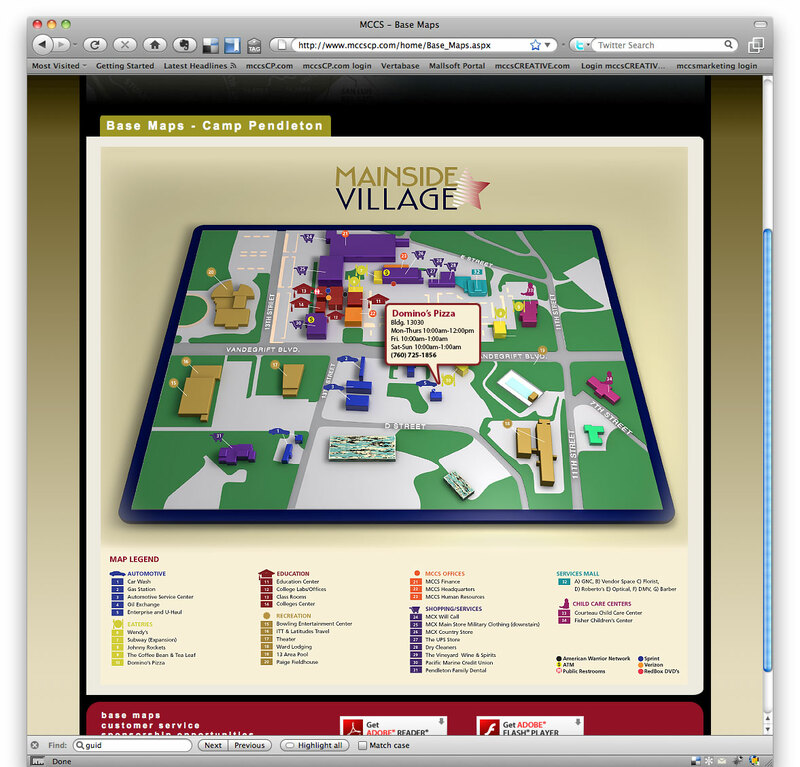 I later created an interactive web version of the map which allowed users to roll over buildings or directory listings to see pop-ups with additional information.